Welcome to a new era in 2011 streaking. 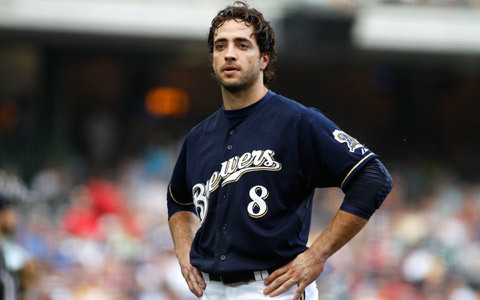 With an 0-for-4 by Ryan Braun last night, season leader Steven Summer saw his eye-popping 48-game run come to a sudden end. Although he fell nine correct picks short of breaking Joe D’s Major League record and claiming the $5.6 million BTS grand prize, Steve has established himself as favorite to take home $10,000 as 2011’s top streaker. He also wins lifetime bragging rights for building the second-longest streak in 11 years of BTS play. Barring any one-game playoffs, there are still 15 active streakers who could tie Steve’s 48 gamer. Only current leader bysuag, however, still has enough time to reach 57.
lol, why would you use Farnsworth? I cannot think of a worse closer in baseball to use. I remember becoming very angry when Trevor Hoffman retired, because I reasoned that anyone could do a better job closing than Farnsworth. LOL. It was a “stealth” pick. I should know better than to pick a former Cub.